Located in Bad Sachsa, this family-friendly hotel is 4.6 mi (7.4 km) from Walkenried Abbey, and within 12 mi (20 km) of South Harz Nature Park and Unicorn Cave Prehistoric Burial Site. Grenzlandschaft and Museum Sorge and Wurmberg Gondola are also within 16 mi (25 km). Situated in Bad Sachsa, this hotel is within 9 mi (15 km) of Walkenried Abbey, Unicorn Cave Prehistoric Burial Site, and South Harz Nature Park. Grenzlandschaft and Museum Sorge and Wurmberg Gondola are also within 20 mi (32 km). 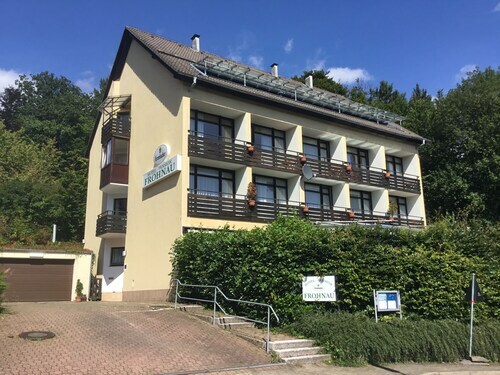 Situated in Bad Sachsa, this hotel is 4.5 mi (7.3 km) from Walkenried Abbey and within 12 mi (20 km) of South Harz Nature Park and Unicorn Cave Prehistoric Burial Site. Grenzlandschaft and Museum Sorge and Wurmberg Gondola are also within 16 mi (25 km). How Much is a Hotel Room in Bad Sachsa? Hotels in Bad Sachsa start at $74 per night. Prices and availability subject to change. Additional terms may apply. If you are intending on journeying through Harz and have the urge to spend time in Bad Sachsa, as a savvy traveler, you would do well to book as soon as you can through Travelocity to make sure you end up with the ideal place to base your trip. Within an easy driving distance from central Bad Sachsa, you will find 6 highly regarded hotel options. Enjoy the sights just a stone's throw from central Bad Sachsa. Accommodations in this area include Hotel Waldsegler Garni and Göbel's Vital Hotel. 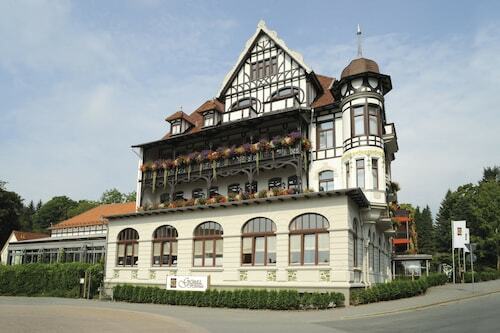 The Ringhotel Weißer Hirsch is situated 20 miles (32 kilometers) outside of central Bad Sachsa. 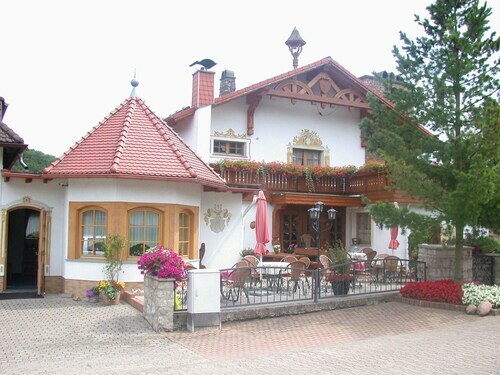 Another option is the Travel Charme Gothisches Haus, which can be found approximately 20 miles (32 kilometers) away. The Maritim Berghotel Braunlage and the Hotelpension Pfälzer Hof are two other options in Bad Sachsa. After spending time in in Bad Sachsa, take a trip and check out Saxony-Anhalt's other attractions. Discover Saxony-Anhalt's castles and don't forget to fall in love with the area's forests, rivers, streams and lakes. Fun-loving travelers might also get involved in snowboarding, skiing and cross-country skiing in the region. Goslar is 25 miles (37 kilometers) north of Bad Sachsa and boasts Goslar Imperial Palace and Mines of Rammelsberg. Travelocity-listed Goslar rooms include the Altstadt Hotel Gosequell and RAMADA Hotel Baeren Goslar. 9 miles (15 kilometers) to the northeast of Bad Sachsa, you may also choose to stay at Sorge, which is home to the Hotel Tannenpark and Landhausferienwohnungen Am Brockenblick. Should you choose to stay in Sorge, make sure you venture to the Grenzlandschaft and Museum Sorge and Ring der Erinnerung. If you love sports and like to watch local matches you and your family could stop by Volkswagen Arena, situated 60 miles (96 kilometers) to the north of Bad Sachsa. Book a Travelocity-listed hotel in the middle of the sporting action at the The Ritz-Carlton, Wolfsburg or the TRYP Wolfsburg Hotel. Erfurt Airport is a convenient arrival point for air travel, and is situated 45 miles (74 kilometers) away from downtown Bad Sachsa. Travelocity-listed hotels located close to Erfurt Airport are Airport Hotel Erfurt and Hotel & Restaurant Park-Cafe ISA.